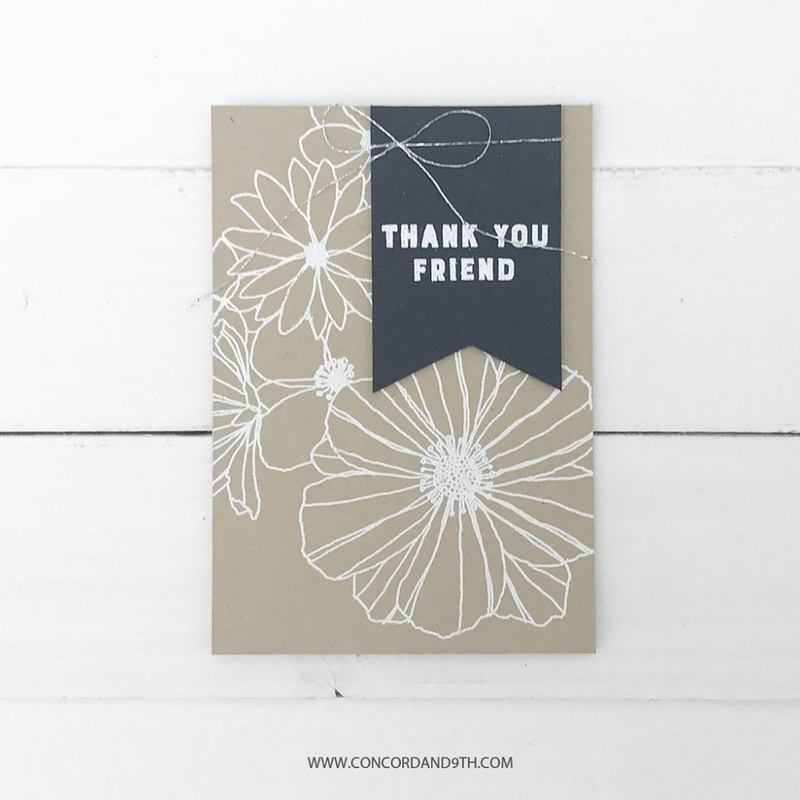 Inneholder 14 stempler med blomster og ulike tekster. Mål ca 15 x 20 cm (6" x 8"). Produsert i USA. 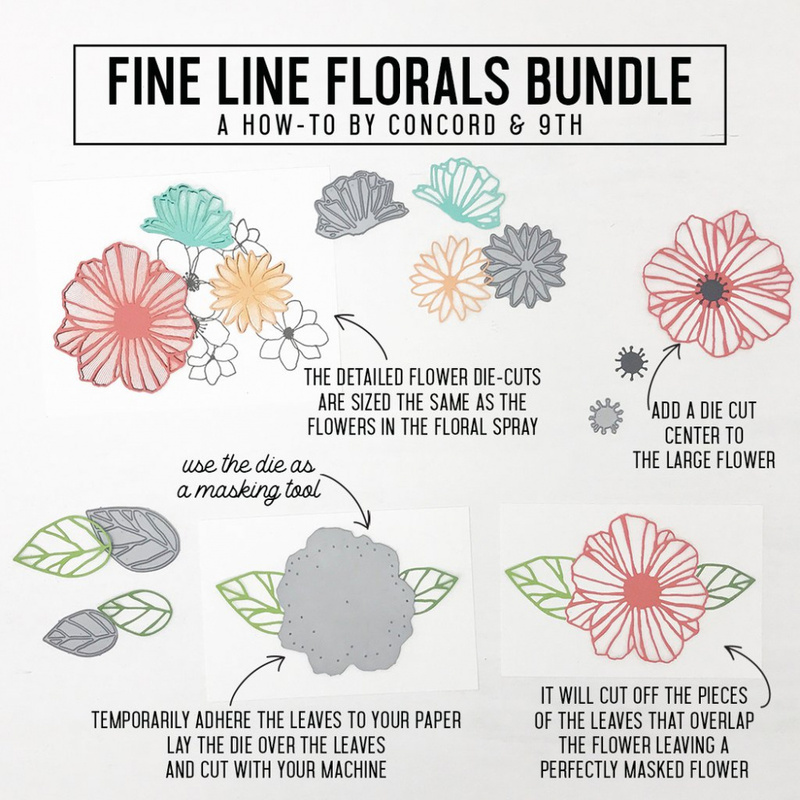 Tilhørende diesett Fine Line Florals Dies finner du her. 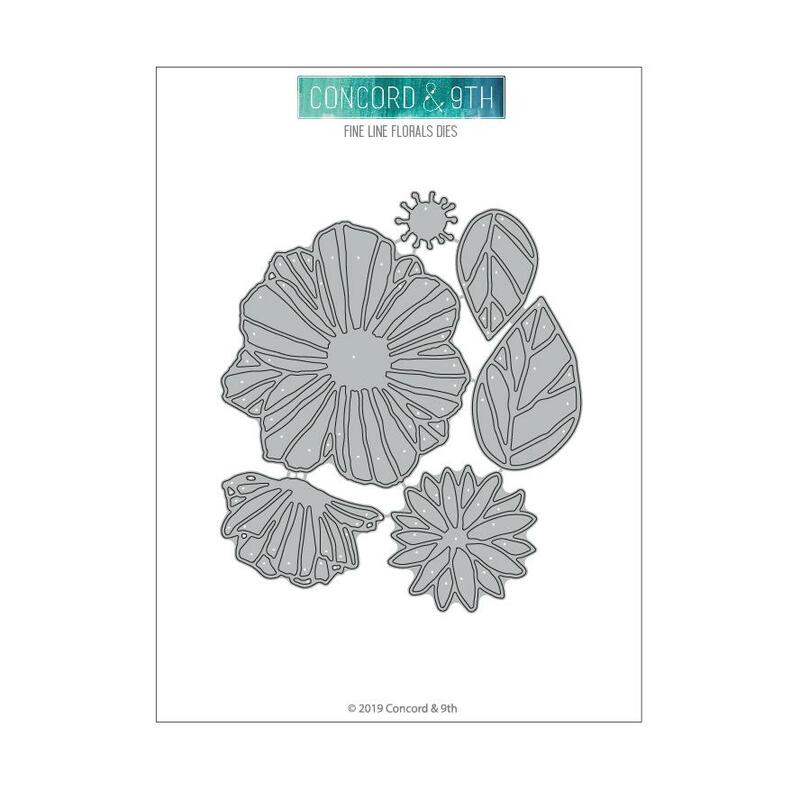 6x8 stamp set with 14 images that coordinates with Fine Line Floral dies. 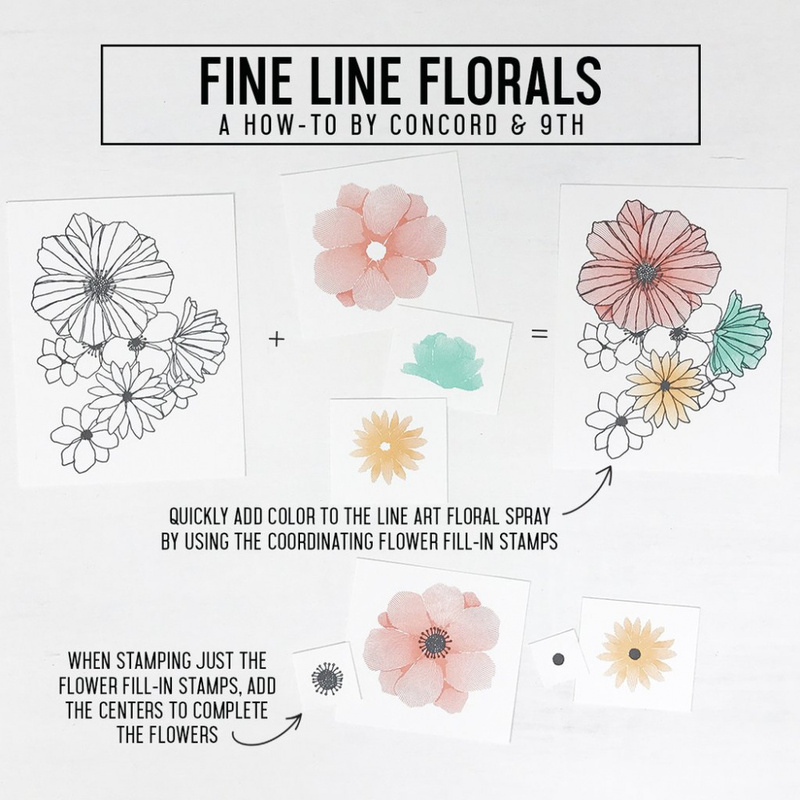 Put your watercolor skills to use with this fine line floral spray, or use the detailed floral images to fill in 3 of the flowers, leaving 5 of the flowers uncolored for a modern look. 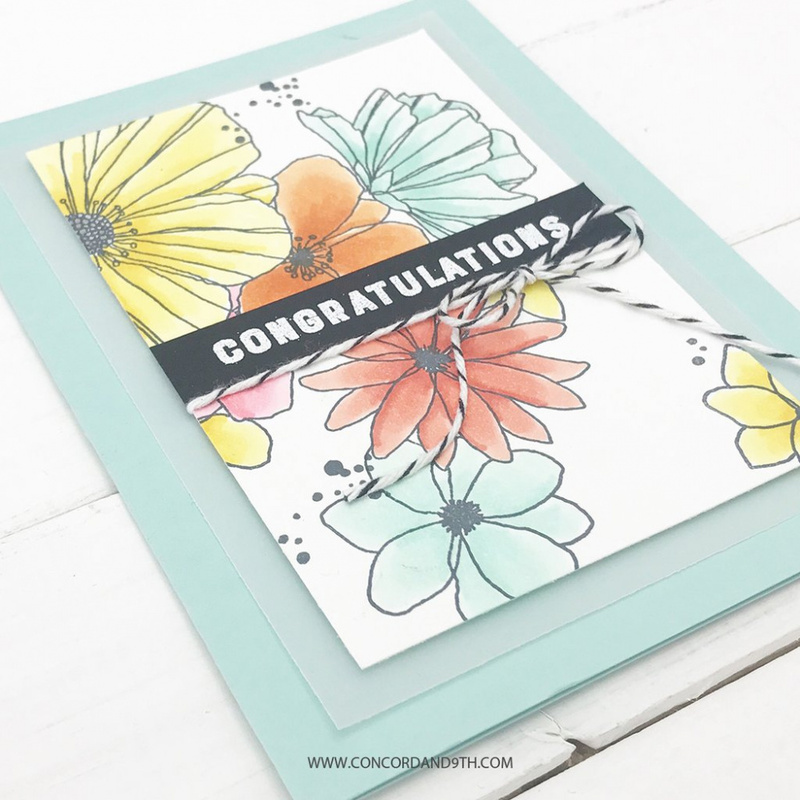 You can also use the detailed floral images on their own to create your own smaller spray, or background on your cards. 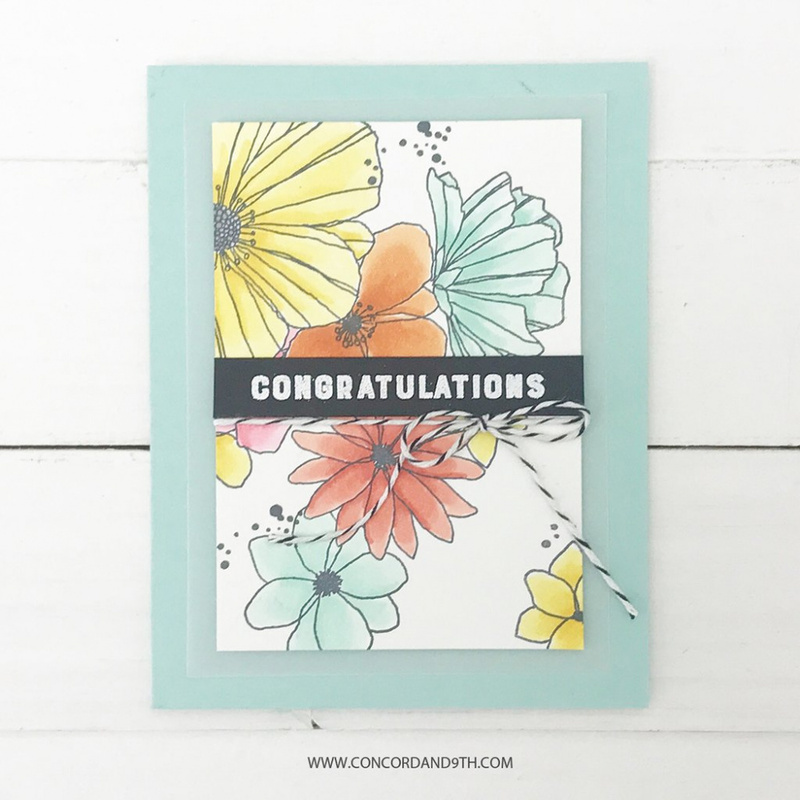 Stamp the spray once in a corner leaving a large area for stamped sentiments, or stamp a few times at random to fill up your card front. 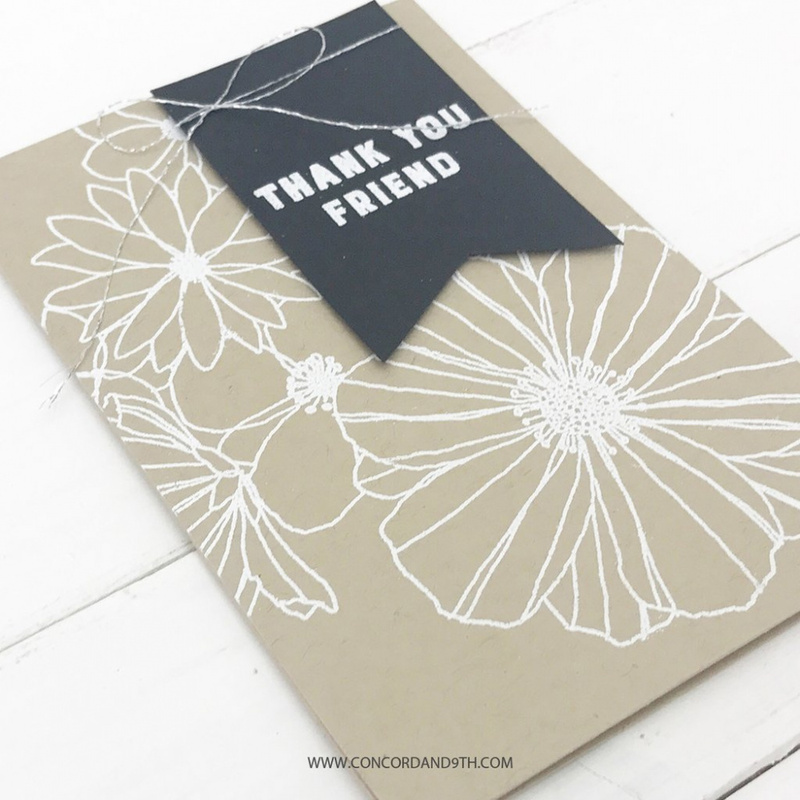 There are two smaller flower centers to add if you choose to, and splatters to add that extra design touch. 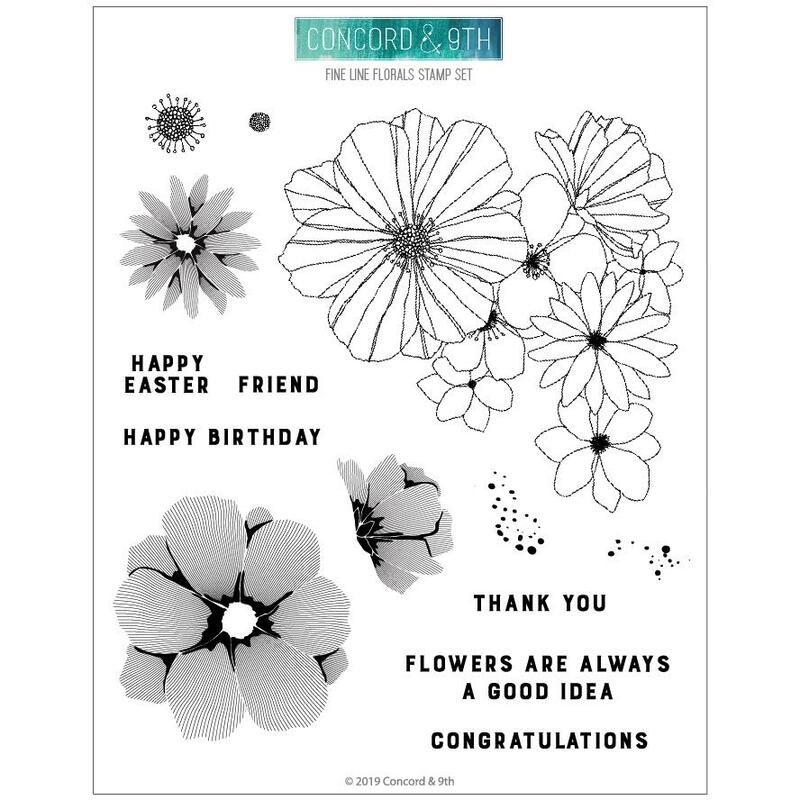 Floral spray = 4 3/4" x 4 3/4"
Large fine line flower = 2 3/4" x 2 7/8"
Congratulations = 2 1/2" x 1/4"